Our clients, the Rosens, decided they were ready to renovate their old house. 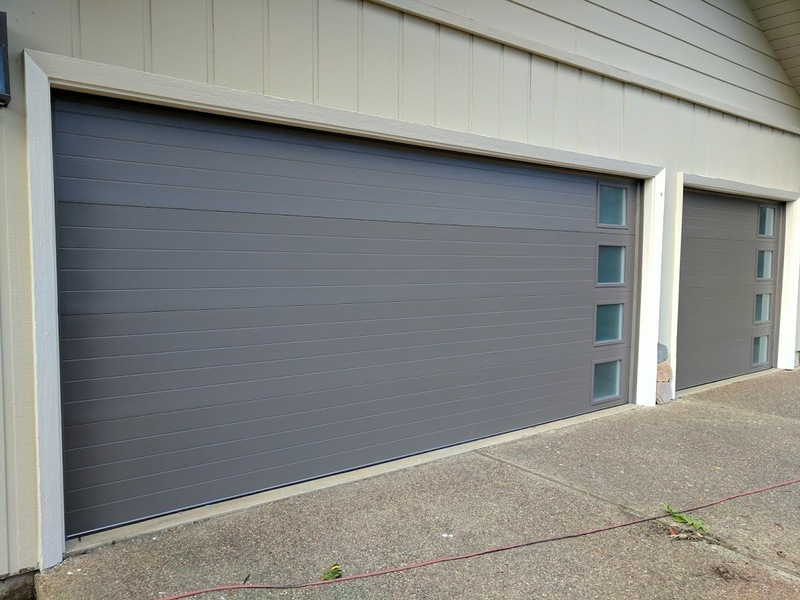 They wanted a more modern look, and one way they achieved this on the exterior is by replacing their garage doors. There are so many options on the market to get that great modern look. The Rosens ended up choosing the Clopay model doors, from their modern steel collection. These doors are a perfect complement to contemporary and mid century modern homes, so it was perfect for the Rosens. They chose the 9209 model with a bronze finish, and obscured glass. A great choice to get the look they wanted! These doors are steel backed and insulated with an R rating of 18.4. This is the highest insulation level on the market today. Great for keeping your garage temperature controlled, especially in the extreme heat or cold. While they were replacing their doors to upgrade their home’s exterior, they also wanted some practical changes as well. They decided to also replace their opener, as they wanted a quieter model with a high safety rating. We recommended the LiftMaster 8550W, which is perfect. The opener comes with 2 hand held remote controls, a wireless keypad, battery backup and built in Wi-Fi. 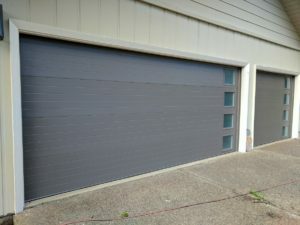 The first step in this transformation was removing the old garage doors and hardware. Then we were able to start the installation of the new Clopay doors. We installed the new tracks, which are heavy duty tracks that properly support the weight of the steel backed doors. Next came the spring system installation which counter balances the weight of the doors. Lastly, we stacked the panels and installed the hinges and rollers. That takes care of the doors, and then we were onto the openers. We set the travel limits of the door, and made adjustments to the force to ensure safe and smooth opening going forward. You can see for yourself how they turned out! These doors are beautiful, extremely durable, highly insulated. 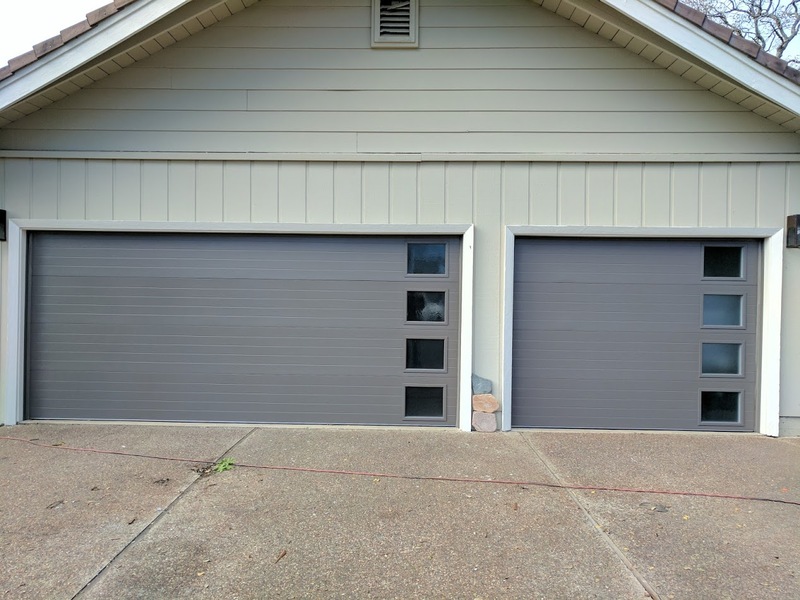 When you pair them with the LiftMaster 8550W openers, you get the best garage doors and opener money can buy!